What do you need if you want to work with young children today? A willingness to carry out intentions and undertake self-development. This course offers a foundation in the principles and practice of Steiner Waldorf early childhood education and care, equipping you for work in the early childhood sector. It meets the regulatory requirement for nationally validated early years qualifications at level 4 and level 5 and the international benchmarks for Steiner Waldorf early childhood education. This education is based on the work of Rudolf Steiner (1861 - 1925) and many others who have developed the principles and practicalities since the first school opened in 1919. Years One and Two – 10 weekend residentials at York Steiner School, 2 five-day residentials at Elmfield Rudolf Steiner School, Stourbridge plus 10 days of work placement per term in a Steiner setting local to you. Successful completion of these two years completes the level 4 part of the programme including the Early Years Educator (EYE) criteria. You can find this on the Ofqual Register of Regulated Qualifications. Year Three – full-time supported work placement in a Steiner setting with 3 weekend residentials in York. Successful completion of this third year completes the level 5 part of the programme (this does not form part of the Early Years Educator (EYE) but is a separate Ofqual regulated qualification). For all students enrolling for Level 5 from 2019 onwards, our intention is that the Level 5 qualification will be a Crossfields Institute regulated qualification, rather than regulated through NCFE CACHE. This meets the international benchmarks formulated by International Association for Steiner/Waldorf Early Childhood Education (IASWECE) and required by Steiner Waldorf Schools Fellowship (SWSF) for those who lead Steiner Waldorf kindergartens. To discuss the different pathways available for year three, please contact us. WHAT IS STEINER WALDORF EARLY CHILDHOOD EDUCATION? 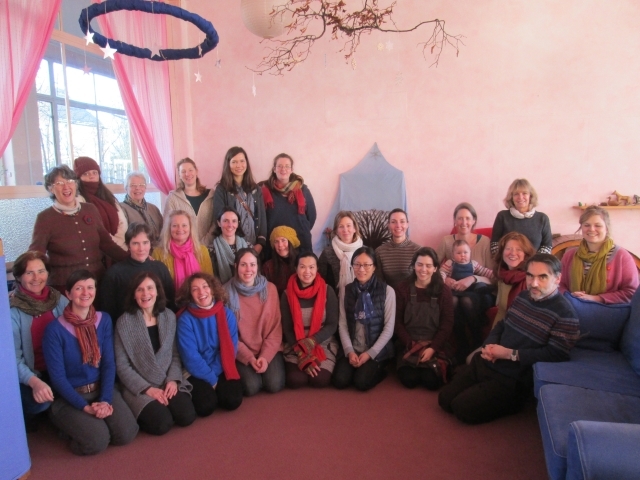 WHAT PREPARATION AND TRAINING IS NEEDED TO BE A STEINER PRACTITIONER? 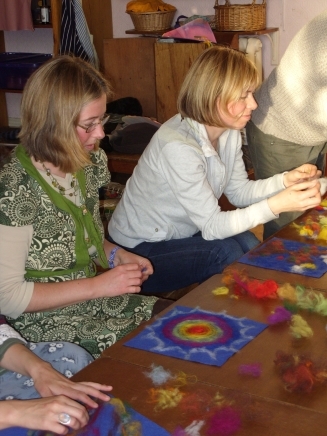 Hear about the value of play and the principles of the Steiner early childhood approach, with experiential sessions on painting, ring-time and toy making. There will be time to tour the school, talk to current students and tutors, hear about training possibilities in the UK, and ask your questions. Participant’s comment: "All very thorough. Touched on everything. Loved teachers' passion!" Our next intake for Year 1 will be in October 2019. There will be an Introductory Weekend in Stourbridge, 31st May – 1st June (Friday evening to Saturday afternoon). This is the ideal opportunity to talk to students and tutors, experience taster sessions and have an overview of the course. Please contact us if you would like more details. There is now a part-time option for NESWEC students to spread the attendance, assignments, placement and costs of the first year of the course over two years. If you would like to know more about this option, please contact us for further details.